This coin depicts Yuan Shikai, a high ranking military official, politician, warlord, and president of the Chinese Republic who attempted to place himself on the throne of a short lived new imperial dynasty. 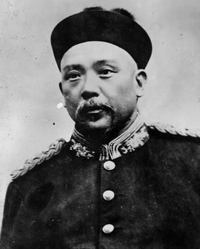 He is one of the most significant Chinese political figures in the late 19th and early 20th century. This coin type was minted from in 1914 (3), 1916 (5), and 1920 (9). Under Yuan Shikai new regulations were promulgated under which 280 million older silver coins were recalled and a new series was issued bearing the portrait of Yuan Shikai himself. The dollar, known colloquially as the "Fatman Dollar", became the most widely circulated coin in China. Each bears the date reckoned from 1911 as the start of the Republic. The dies were prepared at the Tianjin General Mint and distributed to the provinces. As these dies became worn they were re-engraved, leading to many small local variations of design. It is said that over 300 million of these coins were issued. These coins survived his death in 1916 and were still being minted until 1922 or maybe later. The same design was used on an initial issue, all dated year 3 (1914) of half-dollars, 20 cents and 10 cents coins (the denomination marked in Chinese characters as 2,5 or 10 such coins to dollar). The portrait of Yuan Shikai also appeared after his death on gold coins weighing 15.4 gm valued at 20 dollars and those of 7.7 gm valued at 10 dollars, dated year 8 (1919). Early Life: Yuan Shikai was born into a locally prominent family, the fourth of six sons, on September 16, 1859. He was born in the village of Zhangying, in the county of Xiangcheng, located in the Henan province. At the time of his birth, China was in the 9th year of rule by the Xianfeng Emperor, eighth ruler of the Qing Dynasty. The Yuan family would later move 16 kilometers southeast of Xiangcheng where they founded a village called Yuanzhai or "the fortified village of the Yuan family." Although he received a traditional Chinese education (the study and memorization of Confucian works), Yuan Shikai preferred horseback riding and hunting to more scholarly pursuits. After twice failing the civil service examinations, he joined the Huai army where members of his family served and held influence. This family influence would help him win favorable appointments as would General Li Hongzhang, commander of the Huai Army, who would favor him and become his mentor. In Korea: Both Japan and China had involved themselves in the internal politics of Korea as both looked to influence, if not control, the peninsula. Tensions over the fate of Korea would come to a head triggered by anti japanese riots in 1882. 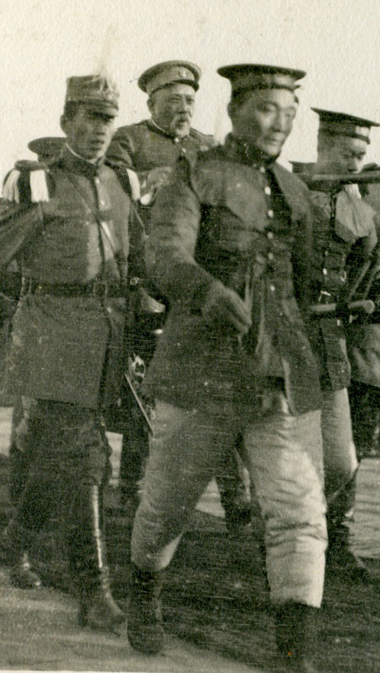 Chinese troops, including young Yuan Shikai, rushed to occupy Seoul ahead of the Japanese. By 1885 Japan and China agreed to split the nation between them. At the age of 26, Yuan Shikai was appointed sub prefect in Korea, now a vassal nation to the Chinese empire. He became the chief adviser on Korean government and military policies. At the head of a large Chinese military presence he busied himself raising and training anti-Japanese troops. He was charged with the formation and modernization of the weak and antiquated Korean military. With a heavy hand Yuan sought to isolate Korea by limiting diplomatic efforts and minimizing the influence of Japan and Russia through trade restrictions and anti-japanese policies. He was recalled just days before the first Sino-Japanese war broke out in 1894, a war in which he had no small hand in fermenting, and a war where Chinese forces where thoroughly bested by superior, modernized japanese forces. The New Army: China's defeat at the hands of the Japanese was a clear reminder of what many already knew. The Chinese imperial government and military structure was conflicted, outdated and ineffective. Upon his return Yuan Shikai was put to the task of creating a well trained, well equipped, and modern military force organized along Western lines with infantry, cavalry, artillery and engineer units. The New Army, originally consisting of 4,000 men, was trained by western influenced military standards, tactics and equipped with German arms. In the end, Yuan Shikai would command the most powerful, well trained, reliable fighting force in the country. a force that would become the standard for all other military forces in China. The New Army was gradually expanded and upgraded and by 1911 its ranks would swell to over 75,000. As was common at this time, Yuan Shikai insisted on complete loyalty from his men to himself alone. This was made possible by an increasingly weakened imperial influence allowing greater powers to regional governors and strong military leaders like Yuan. From its inception until his death, the New Army (later the Beijing Army) would be like his personal military force to be deployed as he saw fit. Imperial Politics and the 100 Days Reform: Imperial politics at the time were bitterly divided between the 'progressives' under the banner of the Reform Movement led by the weak upstart Guangxu Emperor, and the 'conservatives' allied to the powerful de facto ruler of China, the Empress Dowager Cixi. The Empress Dowager Cixi, who had served as regent for the young Guangxu Emperor, was the real power behind the throne. She went into 'retirement' ceding power to the Guangxu Emperor who then initiated the 100 Days Reform Movement of 1898. The idealistic pro-western movement called for drastic reforms in the governmental, educational, and social systems. With support from interested foreign powers, the Guangxu Emperor looked to industrialize China, institute capitalism, cut government waste through entitlements and continue to strengthen the military. He looked to create a modern educational system modeled on western school curriculum and transform the government from an absolute monarchy to a western styled constitutional monarchy with democratic institutions. Although many of the ruling elite were proponents of reform, the Emperors reforms were seen by many as radical. They instead championed a more gradual transition to modernization. They were wary of western influence and the colonial aspirations of a host of foreign nations including Britain, Germany, Russia, and Japan among others. They were also aware of the rising grassroots opposition to foreign influence in the country. 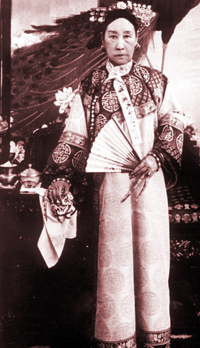 The Empress Dowager Cixi saw his reforms as too drastic and looked to remove him from power. Yuan Shikai is generally portrayed as a practical and ambitious political opportunist. Less an idealist, he was generally pro reform and an advocate of adopting certain western style institutions. He was not opposed to entering into mutually beneficial dealings with foreign nations and businesses when it served his purposes. Yuan Shikai saw the way adopting western military practice had transform the military and there is no doubt he recognized the need to modernize China if the country was to compete on the world stage. Because of his general pro west stance, the emperor naturally saw Yuan Shikai as a reformist ally during the 100 Days Reform. The Emperor soon found that Yuan Shikai was, in the end, pro Yuan Shikai. He did little to help the Emperor against the plotting of his conservative enemies. After a conservative coup and the return of the Empress Dowager Cixi, the Guangxu Emperor was arrested and imprisoned for the remainder of his life. The Guangxu Emperor was never forced to abdicate, The Empress once again simply ruled in his stead until his death by arsenic poisoning in 1908, one day before the death of the empress. In Shandong and the Boxer Rebellion: Yuan Shikai was based in the coastal province of Shandong where western influence, particularly German, was strong. There was also a growing anti-foreign movement in Shandong which looked to eliminate outside influence in Chinese affairs and expel (if not kill) all foreigners. Their accusations were against Christian missionaries who came to convert the people. More importantly they opposed what they perceived as imperialist aspirations by foreign nations in a rush to subjugate China. The Righteous Harmony Society Movement, more commonly known in the west as the Boxer Rebellion, was gaining momentum and soon it would be open season on foreigners living in China. With the pro-west reform minded Guangxu Emperor now imprisoned and powerless, and most of his reforms reversed, western powers lost their main ally in the Qing Government and saw an imminent threat to their sizable business interests in China. They had hoped to put China on the course of rapid modernization and industrialization. to their dismay they saw a reversal of the reformist movement and a rapidly growing anti-western sentiment now supported by the returning old guard conservatives. The new slogan would be “support the Qing, destroy the Foreign." A massive grassroots movement began and along with it came violent uprisings. Western missionaries, diplomats and businessmen were attacked, many were killed by the mobs who then lay siege to foreign embassies in the city of Beijing. Foreign powers protested the treatment of their citizens and took steps to protect those who survived. They demanded redress, the Empress responded with a sweeping declaration of war. The Eight Nation Alliance: The empress would get her war. She now gave her approval and support to the boxers, spurring them on to remove all foreigners from China and calling on the regional governors to do the same. In answer to her call for war, troops of the hastily formed eight nation alliance, made up of Austria-Hungary, France, Germany, Italy, Japan, Russia, the United Kingdom, and the United States, invaded China and occupied Beijing on August 14, 1900. 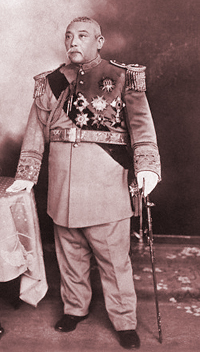 Yuan Shikai was appointed governor of Shandong in 1899 and was in command of a the powerful and modern New Army. He ignored the imperial decree to support the Boxers and instead vigorously suppressed them. He succeeded in driving them from the province and in so doing he also protected foreigners under his jurisdiction. Although he professed loyalty to the imperial court, like most regional governors, he also did little to oppose the occupation of Beijing by the allied army. Without the support of the military the empress was driven from Beijing. The Qing government was forced to sign the 'Boxer Protocol', a treaty which, among other terms, required the empress to have no further involvement in the affairs of the country. Also, under the agreement China was to pay steep war reparations and was to allow foreign troops to be stationed in Beijing. Its inability to call up its own troops and the obvious lack of any real loyalty from its provincial governors and military leaders illustrated that the days were numbered for the weak and ineffective Imperial Qing Empire. 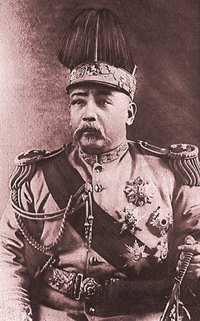 As the Viceroy of Zhili: Yuan Shikai and other military leaders had delayed and then disobeyed orders from the Qing Government to support the Boxer Rebellion thus foreign powers with interest in China perceived him as being 'pro-west'. He was appointed the Viceroy of Zhili and the northern commissioner of military and foreign affairs upon the death of his powerful patron, the General Li Hongzhang, in 1901. In this post he would expand his New Army, now called the Beijing army, making him the most powerful military and political leader in China. In addition to consolidating, expanding and continuing to modernize his army, he also helped introduce educational, legal and industrial reforms in North China. In his role as the Governor of Shandong, and his 7 years as the Viceroy of Zhili, he proved himself to be a moderate social reformer although his main focus was first and foremost the army. As the Qing Government slowly crumbled, Yuan's power grew ever greater. Death of the Emperor and a Fall From Grace: With the death of the Guangxu Emperor and the empress dowager within days of each other, the imperial power fell to Puyi, the son of the Guangxu Emperor's half brother, Zaifeng, the second Prince Chun. 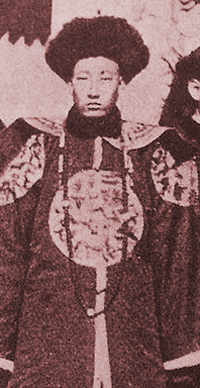 Puyi was only two when he ascended the throne as the Xuantong Emperor. Prince Chun would serve as his son's regent and one of his first orders of business was to punish Yuan Shikai. He saw Yuan Shikai as a traitor to his brother during the 'Hundred Days' affair and the subsequent coup in 1898 which effectively ended his brothers reign. 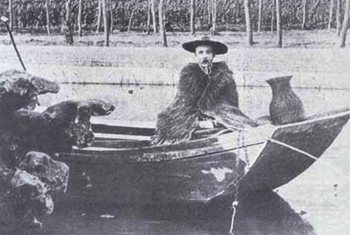 He reportedly wish to kill Yuan Shikai, but Yuan was instead dismissed from his duties early in the year 1909 and sent back to his village in Henan province under the pretense of "curing a foot disease". Wuchang Uprising and a New Republic: Yuan Shikai bid his time as revolutionary forces gained the support of more provincial leaders and military commanders. This eventually led to the Wuchang uprising. As provincial assemblies began declaring their independence, the Qing government won the support of Yuan Shikai by offering him the office of Prime Minister of the Imperial Cabinet, which he accepted on November 1, 1911, along with the noble title of Marquis of the First Rank. Yuan's forces went into action bringing a semblance of peace to Beijing and pushing revolutionary forces back to Wuchang thus forcing the Republicans to negotiate. Yuan Shikai found himself in the perfect position holding the fate of China in his hands as both sides desperately sought his support. After extensive negotiations, Yuan Shikai agreed to support a Republican government with himself as President. Knowing that without his military power, they could not succeed, the Republicans reluctantly agreed to forgo their preferred choice of Sun Yat-Sen and accept Yuan Shikai as the first President of their new Republic in exchange for his military support. Yuan moved quickly. He forced the abdication of the Xuantong Emperor, his regent and his cabinet. He was then elected Provisional President of the Republic of China by the Nanjing Provisional Senate on February 14, 1912, and sworn in on March 10 of that year. At the request of Yuan Shikai, the capitol of the new Republic would not be Nanjing as the Republicans had wished, but Yuan's power base of Beijing. 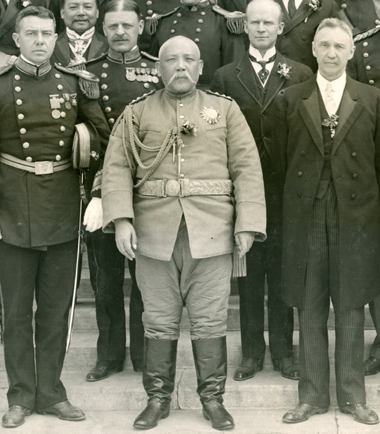 The Embattled President: Yuan Shikai was not a Republican. He was used to military command, giving orders and those orders being obeyed. In the next four years he consistently clashed with the Nationalist Party in the form of the popular KMT (Kuomintang), and its leader, Sun Yat-Sen. Yuan eventual sought to subvert and destroy the KMT which led to its virtual collapse. 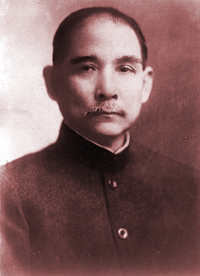 Sun Yat-Sen fled to Japan and called for a second revolution, this time against Yuan Shikai. After negotiating a loan with a consortium of power brokers from five nations (Britain, France, Germany, Russia and Japan) he was empowered to move against his enemies. By 1913 he had dissolved the National Assembly replacing it with a council completely loyal to him. He then drafted a new constitution which granted unlimited powers to the president. His forces left the KMT in defeat and he reorganized the provincial governments replacing civilian provisional assemblies and governors with Military Governors under his direct command. In doing this, he laid the foundations for the warlord era that would dominate China in the decades to come. The Twenty-one Demands: Yuan Shikai was now the supreme power in China but his time at the top would be brief. World War I broke out and western interest shifted from China. As an ally to Britain, Japan seized German Territorial concessions in Shandong. In 1915 the Japanese presented Yuan's government with an ultimatum known as the Twenty-one Demands. The demands were to be accepted if Yuan Shikai wished to avoid war. Yuan Shikai was in constant competition with other military strong men whose power had grown under his government. He was not in a good position to risk war with Japan. He had hoped for intervention from other world powers, when no real intervention or support was forth coming, it became apparent that China would be expected to deal with Japan on its own. After some minor revisions which removed some of the more unacceptable provisions that would effectively turn China into a Japanese protectorate, he agree to the demands. Imperial Aspirations and Death: From this point on, the popularity of Yuan Shikai would plummet. His agreement to the lions share of the Japanese demands was extremely unpopular although most likely wise. China was in no condition to fight a war against Japan while its internal affairs were in such a disarray. His popularity would further plummet late that year when he proclaimed himself Emperor. On the advice of some elements both domestic and abroad, Yuan Shikai declared himself Emperor of China on December 12, 1915 under the Imperial title of Hongxian Emperor. His reign began on January 1, 1916. This was met by widespread disapproval and fueled further defections of his military governors and renewed revolutionary activity led by Sun Yat-Sen from his exile in Japan. The loyalty of his subordinates and the power which took him a lifetime to accumulate, fled him in less than three months. Loyal allies within the army deserted him to form new factions and his foreign allies, seeing his rapid fall from grace, also withdrew their support. By March of 1916 he had abandoned the idea of a new monarchy and was now being called on to resign is presidency. By June 5th, 1916 he was dead from uremia at the age of 56. He was succeeded by his vice president Li Yuanhong. Yuan Shikai, His Place in History: After years operating within the chaotic and cut throat climate of the times, Yuan Shikai became adept at the political maneuvering required to not only survive but prosper within the faltering late Qing Empire. He was practical minded and ambitious, a political opportunist with an uncanny ability to chose his battles and allies wisely. He was an expert at manipulating political situations and selective use of military power for his own gain. With these abilities he was able to rise to the highest levels of government. Similarly, with tragic miss steps came a meteoric fall. First and foremost he was a capable administrator and a strict but popular military leader who fostered great loyalty from the men under his command. He showed respect to his men by taking a personal interest in the well-being of his troops, seeing they were paid regularly and promoting them through the ranks so they were in debt to him for their advancement. He was instrumental in helping bring China, kicking and screaming, into the modern age. He alone is responsible for the modernization of the Chinese military. While unpopular with some, he showed the uncanny ability to develop relationships with other world powers to the benefit of himself and, ultimately, China as a whole. His insistence that China keep pace with the modern world was simply good advice for ANY nation and remains an important aspect of Chinese policy today. Most of all, regardless of his motives, he was responsible for bringing law and order, and a semblance of peace and cohesion, in a chaotic time. After his death, his once great army, unified in loyalty to their commander, fragmented into four major military groups under the command of warlords who had risen to power and political prominence under his rule. His death would usher in the Warlord era, an unstable time in which China was divided among military cliques, all vying for supremacy.